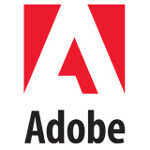 Adobe Systems announced that Flash Player and AIR adoption exceeded expectations as it took only six months to reach 20 million smartphones with Adobe Flash Player 10.1. And the number for 2011 is expected to reach 132 million supported units across the globe. Applications using Adobe's Integrated Runtime, also known as Adobe AIR, could be distributed to 84 million smartphone and tablets running Android and iOS. Devices supporting Adobe AIR are to surge to 200 million by the end of the year. “We are thrilled to see mobile adoption of Flash Player and AIR exceeding even our own expectations, with much more to come in the months ahead,” noted David Wadhwani, senior VP of the Creative and Interactive Solutions Business Unit. Even more exciting is the opportunity to look at the latest Adobe Flash Player 10.2, showcased at MWC. The new version will support features like Stage Video, which boosts video performance through optimization of hardware acceleration, while lowering processor and memory usage. It will be supported on Android 3.0 Honeycomb and BlackBerry Tablet OS. But the boost affects mobile as well – H.264 online video will benefit from Stage Video. Expectations for the new Flash Player were for it to perform up to 10 times faster. and steve says that iphone & ipad doesn't need Flash.. hah! Suprised MS didn't say at it's thing today if IE9 on Windows Phone would support flash. Symbian at least has flash support so hopefully nokia and MS will make sure Windows Phone get's it eventually.